Functional training can prove effective for individuals who need to improve balance, stability and neuromuscular coordination. The Body-Solid Pro Dual Adjustable Cable Column DPCC-SF offers you the freedom of movement to effectively, efficiently conduct numerous weight bearing activities targeting core muscles of the abdomen and lower back. 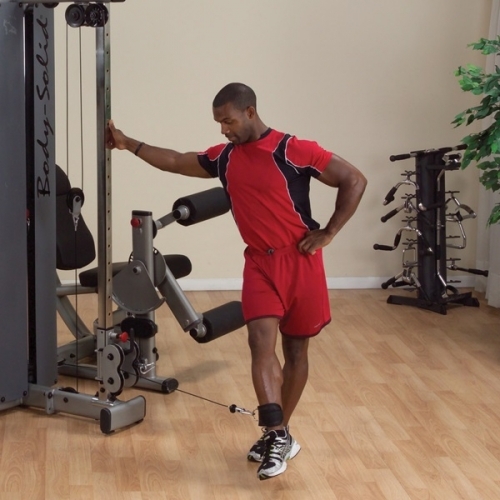 The Body-Solid Pro Dual Adjustable Cable Column DPCC-SF is an achievement in design and engineering that stacks a virtually unlimited range of exercises into a compact 3' by 4' footprint. With a simple pop-pin adjustment, the vertically adjustable pulleys can be set for over 100 exercises at a level that is comfortable for any size user. It can be used as a freestanding unit or as a modular component to the Pro Dual 3-Stack and 4-Stack multi-station systems. The Body-Solid Pro Dual Adjustable Cable Column DPCC-SF features a sleek, structural tube frame with a durable, powder-coated finish that exhibits a modern, design-forward aesthetic. Full shrouds and covers ensure an extra measure of safety while enhancing its modern aesthetics. 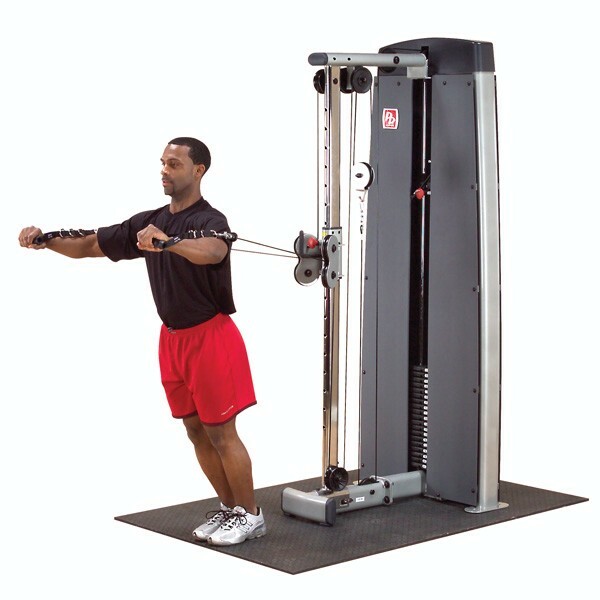 Order your Body-Solid Pro Dual Adjustable Cable Column DPCC-SF Machine from FitnessZone.com today!......Chat with one of our friendly agents at FitnessZone to learn more about the Body-Solid Pro Dual Adjustable Cable Column DPCC-SF Machine. The Body-Solid Pro Dual Adjustable Cable Column DPCC-SF features impact-resistant fiberglass reinforced nylon pulleys, including precision ground and sealed bearings to ensure prolonged cable life and smooth movement. 11-gauge 2.375" x 4.625" oval tubing on the main frame, combined with 3-gauge steel connecting plates and 1/2" diameter connecting bolts adds to the machine's strength and durability. The spun steel aircraft cables of the Body-Solid Pro Dual Adjustable Cable Column DPCC-SF are 5.5mm in diameter and are rated to over 2500 lb., providing smooth movement and a safe workout. Durable, electrostatically applied metallic powder coat finish with clear coat is applied to the Body-Solid Pro Dual Adjustable Cable Column DPCC-SF in a two-step process, resulting in a high-quality, low maintenance finish protected from scratching, chipping and fading. The Body-Solid Pro Dual Adjustable Cable Column DPCC-SF is designed to provide an intense workout while eliminating strain, the Body-Solid Pro Dual Adjustable Cable Column DPCC-SF is hard to beat. Easy and convenient step-in design makes getting started a breeze. The Body-Solid Pro Dual Adjustable Cable Column DPCC-SF thick, comfortable DuraFirm™ pads reduce fatigue and discomfort allowing you keep working out. Rock solid support and stability is delivered via heavy-gauge steel frames with all-4-side welded construction. The fully shrouded weight stack offers a safe and attractive machine that is sure to be a hit in any facility. FitnessZone will work closely with you to find the right lines of fitness equipment for your gym or health club, your personal training studio, a new 24/7 gym, a hotel or apartment fitness complex, a sports performance training center, a women's only club, a police or fire department, a corporate fitness center, or another type of fitness facility. If looking for individual pieces of Gym Equipment check our full range of selectorized machines, leverage machine, free weights and cardio gym equipment at FitnessZone.com. We are serious about fitness and our customers. Call 1-800-875-9145 to chat with one of our fitness advisors with any questions you may have about the Body-Solid Pro Dual Adjustable Cable Column DPCC-SF. 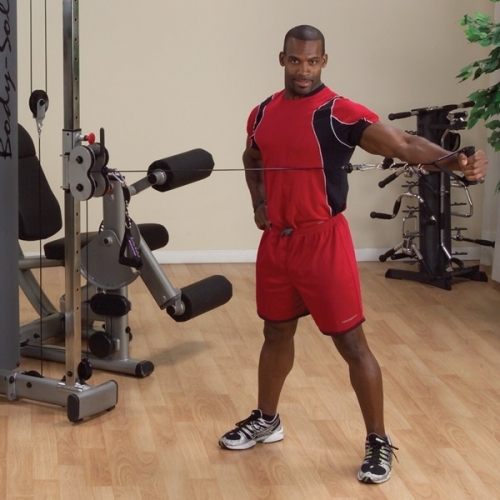 Order your Body-Solid Pro Dual Adjustable Cable Column DPCC-SF from FitnessZone today! Functional training has its origins in rehabilitation. Physical therapists developed exercises that mimicked what patients did at home or work in order to return to their lives or jobs after an injury or surgery. 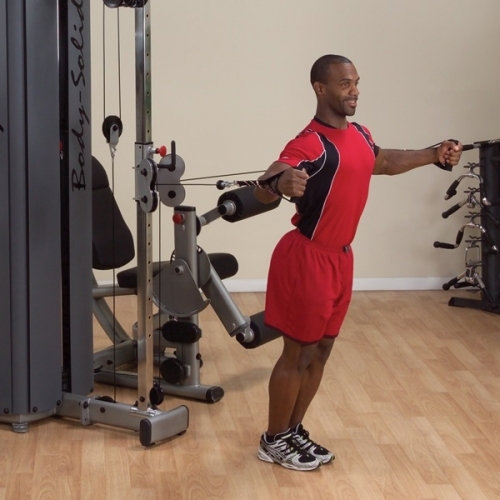 For strength exercises to effectively transfer to your everyday movements, several components of the training movement need to be similar to the actual performance movement. This includes coordination, types of muscular contractions (concentric, eccentric, isometric), speed of movement and range of motion. Properly applied, functional strength training may provide exercise variety and additional training benefits that more directly transfer improvements to real-life activities. Standard resistance training machines are of limited use for functional training because their fixed patterns rarely mimic natural movements, and they focus the effort on a single muscle group, rather than engaging the stabilizers and peripheral muscles. 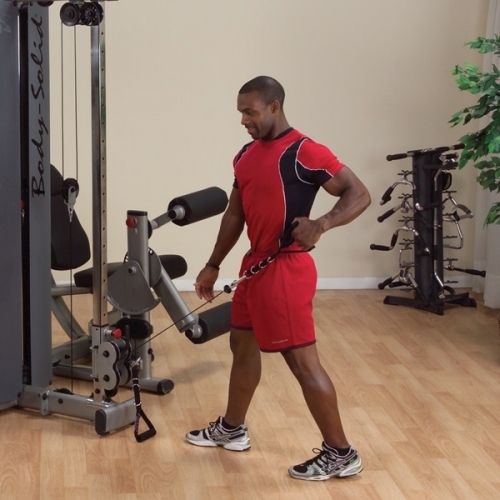 The Body-Solid Pro Dual Adjustable Cable Column DPCC-SF is extremely useful for functional training because it allows you to recruit all major muscle groups while moving in multiple planes. Body Solid is dedicated to manufacturing commercial-rated equipment that stands up to the demands of your facility, the expectations of your people and the rigors of daily use. Body Solid is focused on designing equipment that adapts to fit the size and space requirements of a broad range of commercial facilities. Body Solid is committed to providing our customers with the best lifetime warranty in the industry. Body-Solid is recognized worldwide as a leader in the manufacture of home gyms and commercial strength training equipment. For over twenty years, we have developed and produced high-quality machines that are innovative in design, durable in structure and biomechanically engineered to produce optimum workouts for any size user. Because of our commitment to engineering user-centric machines at real-world price points, we continue to be at the forefront of the rapidly advancing fitness industry. Leverage our expertise to build a fitness center specifically designed to address the needs of your facility and your prospective patients, clients, students, employees, tenants or members for many years to come. From station to station, Body–Solid Pro Dual equipment offers commercial grade quality at competitive prices for today's demanding multi-user environments. We are committed to serving you and your facility with the finest customer sales and service in the industry. All Body-Solid frames feature continuous, four side welded construction instead of the typical 2-side welds that have become common in the industry. We use heavy-gauge 2"x2", 2"x3" and 2"x4" 11-gauge, high tensile strength steel in our mainframes. 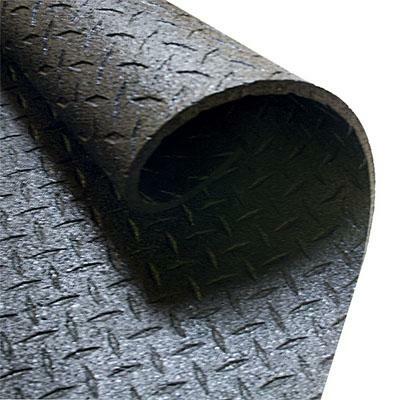 An electrostatically applied powder coat finish protects all Body-Solid fitness equipment. This is the same process used on industrial machinery because of its durability. It resists cracking, chipping and corrosion and makes cleaning a breeze. Fiberglass reinforced nylon pulleys are precision-matched to our cable diameter and revolve on seated ball bearings that never need maintenance and provide a lifetime of friction-free performance. Mainframe: 2" x 4" high-tensile strength steel. All 4-side welded. Finish: Double, powder-coat finish protects against scratching, chipping and peeling. Cables: Nylon-coated, self-lubricating, aircraft-quality steel cables. Pulleys: Fiberglass reinforced nylon pulleys with v-grooved channels. Weight Plates: Machine drilled to exact specifications and employ oversized nylon bushings for super-smooth operation. Guide Rods: Highly polished, chrome plated solid steel guide rods and selector rods for smooth movement. Lifetime of the original purchaser on the entirety of the product. This does not include Labor. 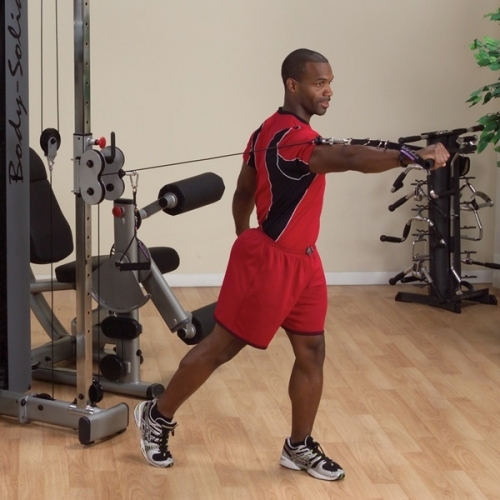 Order your Body-Solid ProDual Adjustable Cable Column DPCC-SF from FitnessZone.com today!